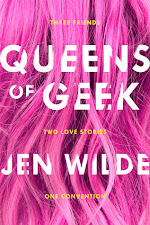 Seventeen-year-old Sadie is in love: epic, heartfelt, and utterly onesided. The object of her obsession - ahem, affection - is her best friend, Garrett Delaney, who has been oblivious to Sadie's feelings ever since he sauntered into her life and wowed her with his passion for Proust (not to mention his deep-blue eyes). For two long, painful years, Sadie has been Garrett's constant companion, sharing his taste in everything from tragic Russian literature to art films to '80s indie rock - all to no avail. But when Garrett leaves for a summer literary retreat, Sadie is sure that the absence will make his heart grow fonder - until he calls to say he's fallen in love. With some other girl! A heartbroken Sadie realizes that she's finally had enough. It's time for total Garrett detox! 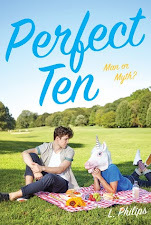 Aided by a barista job, an eclectic crew of new friends (including the hunky chef, Josh), and a customized selfhelpguide, Sadie embarks on a summer of personal reinvention full of laughter, mortifying meltdowns, and a double shot of love. I was full on rooting for Sadie the whole time I was reading. 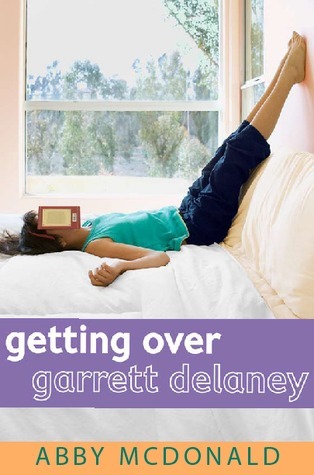 I had a Garrett Delaney in high school, and getting over him was the best thing that happened to me in those years. In Sadie's eyes Garrett was the perfect guy in every way, but to her friends and others around her, he was anything but. It didn't take long for me to jump on the ditch Garrett bandwagon. He was so pretentious and superior, which is not an attractive quality in a person. In some aspects he was a decent friend to Sadie, but for the most part it was all about what she could do for him. When Garrett goes away to a writing camp for the summer, Sadie is heartbroken, but she ends up working at the local coffee shop and that turns out to be the best thing for her. The staff who populated the shop were excellent. They were so much fun and ended up becoming great friends to Sadie. They supported her and helped her discover who she really is, without Garrett. I want a friend like Luann! She was my absolute favorite character. She told it like it was and never really felt bad about it. The plans they all cooked up to help Sadie get over Garrett were so much fun and often times hilarious.